My name is Bill Mertz, and I’m a detective on the Woodstone, Connecticut Police Force. Life in our little town is fairly dull so my detecting is usually limited to investigating car break-ins or the occasional burglary. Then came the murder of Martha Bernhardt, the restaurant reviewer for the Woodstone Times. 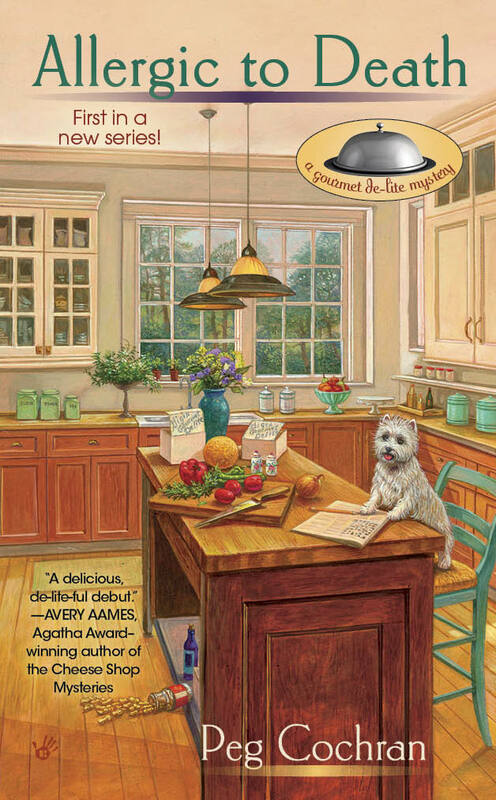 Everyone thought it was an accident, but Gigi Fitzgerald, she runs this gourmet diet service, kept insisting it was murder. Turns out she was right. I have to say that Gigi caught my eye right away. She has dark red curly hair and a very nice figure. Of course every time I’m around her, I’m completely tongue-tied. I know she thinks I’m stiff and not much fun. That’s not true, but something comes over me whenever she’s in the room. Maybe it’s because I come from a family of boys. Girls have always seemed like an exotic species to me. Gigi does blush an awful lot around me. I’ve heard that means a girl likes you. What do you think? I think she likes Carlo who owns Al Forno, a restaurant in town. He’s good-looking if you like the type, and a lot smoother than I am. I’m not sure I stand a chance. I guess we’ll all find out soon enough. You’ll get to meet me, Gigi, Carlo and the rest of the gang in August when Allergic to Death debuts. When I'm interested in someone, I ask them questions about themselves, but maybe that wouldn't work well for a detective. And don't tell Willow I admitted this, but I have a habit of going for the wrong men. Maybe I'm not asking the right questions? Blushing is a good sign. I still do it when I'm with my guy, Mark Dreyfus. I think you should follow up on it, Bill. Remember, you're a cop, a take-charge kind of guy! Good luck! Don't back down, Bill. 'Faint heart ne'er won fair lady'... tell her that when you ask her out! I'm rooting for you Bill.